Gail is an integral part of the Lone Oaks Farm team. She has worked at the Farm for over 8 years and 2 of those years with the University of Tennessee. She manages the invoicing, collections, bill paying, and payroll. As Accounting Coordinator, it is up to her to make sure that all of the financial activities at Lone Oaks Farm are running smoothly. With the work that Gail does, we are able to keep Lone Oaks Farm working well and keep our master plan on track. Gail loves working at Lone Oaks Farm. She enjoys experiencing the beauty of the land and the family feeling of the work environment. Gail started working at Lone Oaks Farm with the original owners in September of 2007. She trained with owner Kathy Ledbetter to take over the cattle records for the Angus cattle operation. As the first sale drew nearer, Gail’s responsibilities grew to helping with the catalog production and proofing and the billing and bookkeeping for the sale. The first inaugural Angus female production sale was held in April of 2009. Before working at the Farm, Gail worked in the public-school system for over 10 years. She loved working with children and leaving that job was a hard decision. 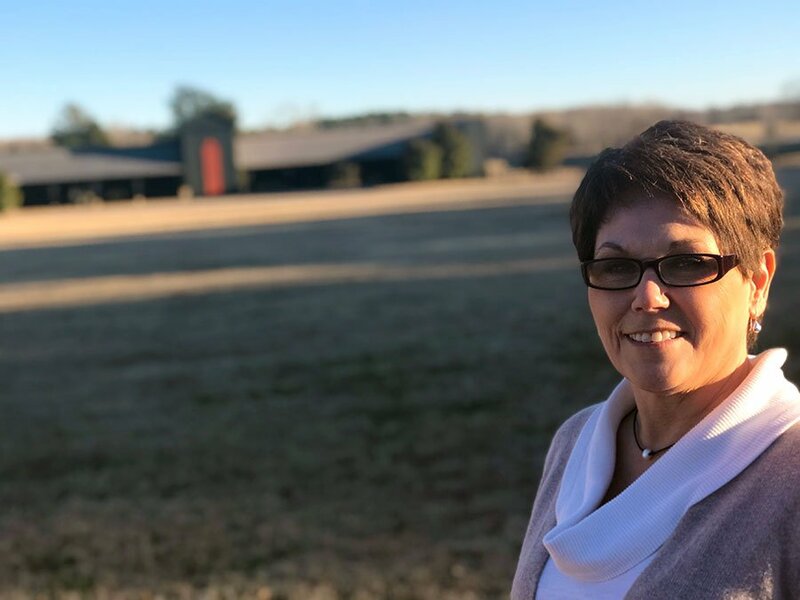 When Lone Oaks Farm became part of the University of Tennessee, Gail was hired as a part-time bookkeeper. In April of 2016, her position became full time. We’re happy to have her! Gail is an avid gardener who loves flowers. She spends a lot of her time designing and working in her flowerbeds. She also enjoys reading, though she admits that life sometimes gets a bit too busy for her to enjoy either hobby. Her favorite outdoor recreation activity is fishing. If she could, she would stay on the banks of a river fishing all day, whether the fish are biting or not. A bucket list item for her is to fish from a boat someday. The next time you visit the Farm, we hope you’ll stop in to say hello to Gail!